Rockfon presents "Designing Acoustic Ceilings for Healthcare Buildings," a new continuing education course. Participants are eligible to earn 1.0 Learning Units (LU) from the American Institute of Architects' Continuing Education System (AIA/CES), as well as from other architectural and interior design associations. Please visit Rockfon.com to learn more and register for this in-person course. "In this accredited course, we take a practical look at the five key challenges for acoustic ceilings in different types of health care facilities and the many interior spaces within them," said Rockfon's acoustic specialist Gary Madaras, Ph.D., Assoc. AIA. "We look at elements that can derail patient outcomes and positive experiences for occupants, and we share acoustic ceiling solutions to create more safe, sustainable, healthy, comfortable, healing interiors." Hospitals, medical offices, elder care facilities, pediatric facilities, pharmacies and urgent care clinics are some of the building types represented in the course. Ceiling system components discussed in the presentation include acoustic stone wool ceiling panels, metal ceiling panels and ceiling suspension systems. The Facility Guidelines Institute (FGI) guidelines for the design and construction of health care facilities and other health care building standards also are covered in Rockfon's course. In regard to compliance with FGI's guidelines, Madaras noted, "This new course covers noise reduction in patient care areas using acoustic ceiling panels with high Noise Reduction Coefficient (NRC) ratings to help absorb unsafe sound and promote sleeping and healing. It also covers sound insulation and speech privacy between rooms, using either full-height walls or acoustic plenum barriers. This is also important for complying with the oral privacy rules of the Health Insurance Portability and Accountability Act (HIPPA)." 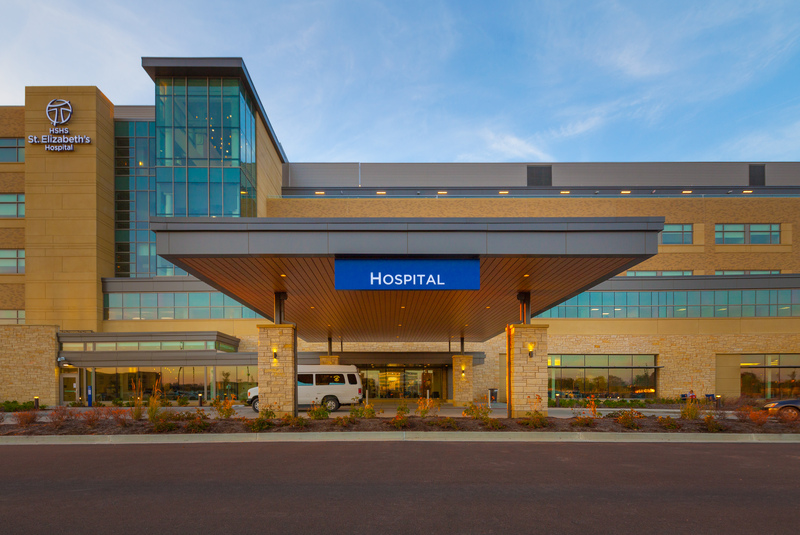 According to the educational course, safety and sustainability are key aspects of any health care building's ceiling design. A ceiling system's performance and material attributes can impact everyday work conditions. For example, poor light reflectance can lead to eye strain and fatigue, a concern in an industry where vital health information is assessed. Other key considerations include choosing ceiling panels that do not support the growth of mold or other microorganisms, and cleans easily. "We don't add antimicrobials for our products to defend against microbial growth. Firstly, we don't need them in in our acoustic stone wool panels. Secondly, such chemicals are non-essential and could cause more harm than good," explained Rockfon's sustainability manager Christian Kofod. Rockfon stone wool ceiling products do not have added biocides for end-use considerations and are GREENGUARD® GOLD Certified for low chemical emissions. Kofod continued, "We think that these are critical considerations for the most vulnerable patients who are often most susceptible to pollutants and volatile organic compounds (VOCs) emitted from materials." 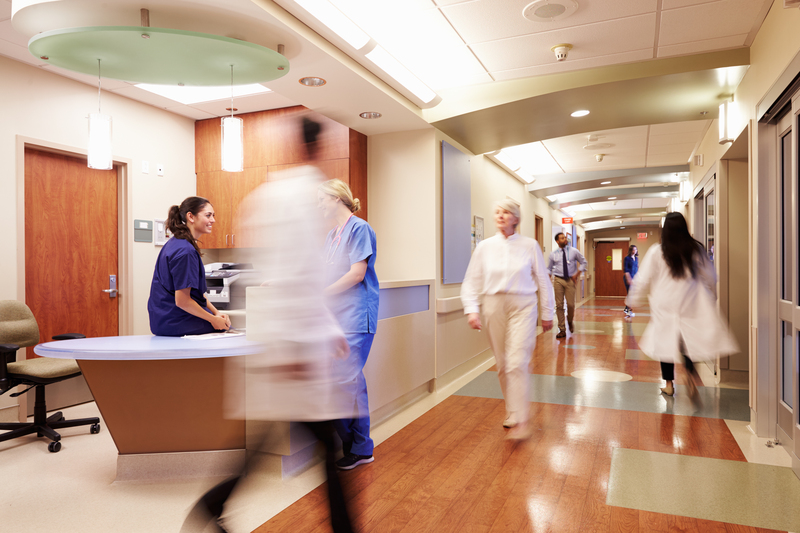 When selecting ceiling material for health care facilities, design professionals can choose performance – IAQ, cleanability and acoustics – plus aesthetics. Rockfon's ceiling portfolio offers an extensive range of colors, textures, edges and dimensions to create welcoming, vibrant and calming healing spaces. Design professionals interested in learning more about creating attractive, effective, acoustic ceilings for health care facilities, and earning the professional development credit can register for this and other educational courses at Rockfon.com. In addition to AIA/CES LUs, Rockfon's course is registered and approved by the Architectural Institute of British Columbia (AIBC), the Ontario Association of Architects (OAA), the U.S. Green Building Council (USGBC) and the Interior Design Continuing Education Council (IDCEC). IDCEC-approved courses offer continuing education units (CEUs) to members of the American Society of Interior Designers (ASID), the International Interior Design Association (IIDA) and the Interior Designers of Canada (IDC). Rockfon is part of the ROCKWOOL Group and is offering advanced acoustic ceilings and wall solutions to create beautiful, comfortable spaces. At the ROCKWOOL Group, we are committed to enriching the lives of everyone who experiences our product solutions. Our expertise is perfectly suited to tackle many of today’s biggest sustainability and development challenges, from energy consumption and noise pollution to fire resilience, water scarcity and flooding. Our range of products reflects the diversity of the world’s needs, while supporting our stakeholders in reducing their own carbon footprint. Stone wool is a versatile material and forms the basis of all our businesses. With approximately 11,000 passionate colleagues in 39 countries, we are the world leader in stone wool solutions, from building insulation to acoustic ceilings, external cladding systems to horticultural solutions, engineered fibers for industrial use to insulation for the process industry, and marine and offshore.